Free Korean Classes are easy to find, but high quality ones with properly trained teachers are not. Free Korean classes, with a 10,000 won registration fee are pretty cheap! 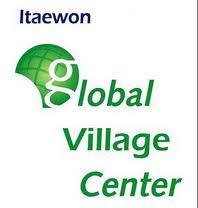 The Itaewon Global Center is offering free Korean Classes for the Winter 2012. Finding free Korean classes can be a pain. When a friend and I went to The Korean Foundation Cultural Center to take free Korean classes the women were extremely rude. We wanted to take a level test which wasn't being offered at the time we arrived because we read the website wrong. I understand that it was our fault that we arrived at the wrong time, but I don't understand why the women said "Can you even speak any Korean? You want to take Korean classes?" Long story short, I never went back. Itaewon Global Center charges a 10,000 won registration fee for their classes; a small price to pay for 10 weeks of Korean lessons. I e-mailed them about the fees and they got right back to me within a day. Find more information about their classes here. Cool!! Might check that out when I arrive next month. I also know that the Seoul Global Center in Gwanghwamun offers free Korean lessons.